Battle of Boyacá Day is annually observed in Colombia on August 7. 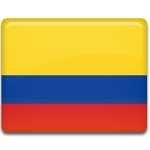 This public holiday marks the day, when Colombia (then New Granada) gained definitive independence from Spain. The battle took place 150 km from Bogotá in the Andes Mountains. On August 7, 1819 after the victory in previous battle, Bolívar's army headed towards Bogotá, that at that time was lightly defended. Subsequently, combined Republican army of Colombians, Venezuelans and the British legion defeated the Royal army of Spain. The Battle of Boyacá and defeat of Royal forces were significant events in the history of Colombia. Royal forces were weakened not only in Colombia, but in whole Latin America. Gradually Spain lost control over the American provinces, that led to creation of Gran Colombia. Battle of Boyacá Day was proclaimed a national holiday to honor the events and those men, who fought for independence of the nation. Traditionally on Battle of Boyacá Day, a new president of Colombia assumes office after the national elections, that are held every four years. Celebration of Battle of Boyacá Day in Bogotá starts on August 6. This day celebrates foundation of the city in 1583.